Here at Spencer Auto Repair, we offer quality automotive repairs in a welcoming environment. Our goal is to provide a high level of customer service, which is why we treat every vehicle as if it was our own. Our ASE and Factory Certified Technicians provide quality service you can depend on. Many of them have over 40 years experience. Our facility is equipped with the latest equipment and technology. Because of that we proudly service all makes and models. We perform all repairs from routine oil changes and maintenance to engine diagnosis and transmission repair. We offer an industry leading 3 year, 36,000 mile warranty on all repairs. 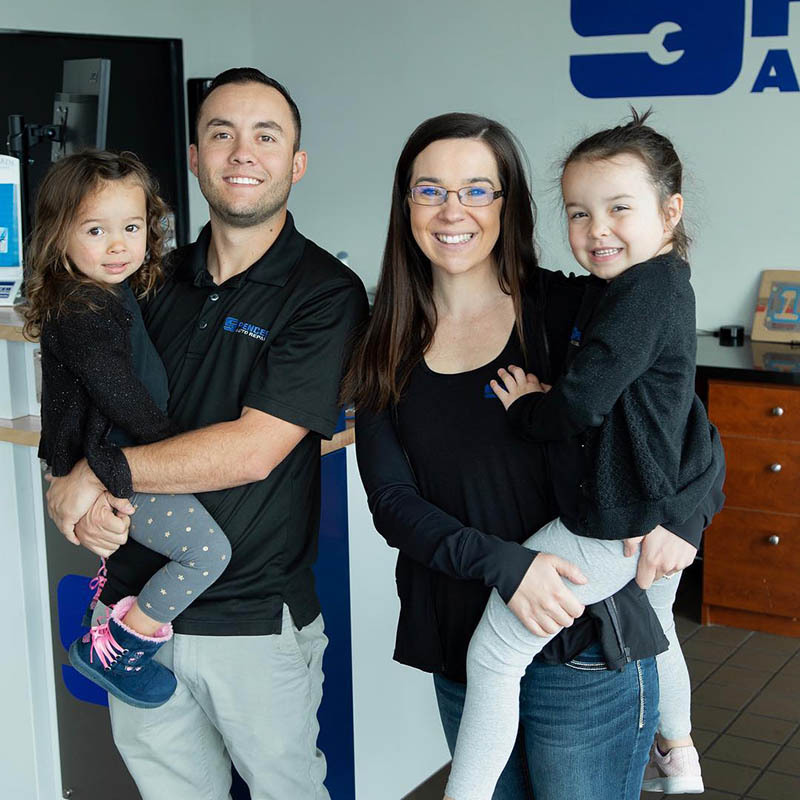 Spencer Auto Repair is family owned and operated. Because of that we offer honest, affordable service. We make getting your vehicle repaired convenient with same day appointments, courtesy Uber rides, and online scheduling. We are proud to serve the East Valley and have been doing so for years. We are a repair facility invested in our community. We donate a portion of every sale to local schools in the Valley. We are also proud to support the East Valley Pony Baseball League, American Legion, and other local Non-Profit organizations. Spencer Auto Repair - Helping You Get What You Want Out Of Your Vehicle!